In the spirit of the upcoming Olympic Games in Rio de Janeiro, we got in touch with some of our favourite travel bloggers and asked them which city takes out the title of their favourite Olympic host city. Drawing on an impressive list of former host cities, we received some interesting replies, from popular Australian cities through to some true European gems. Discover what each blogger had to say and start planning your next trip with a touch of the Olympic spirit! 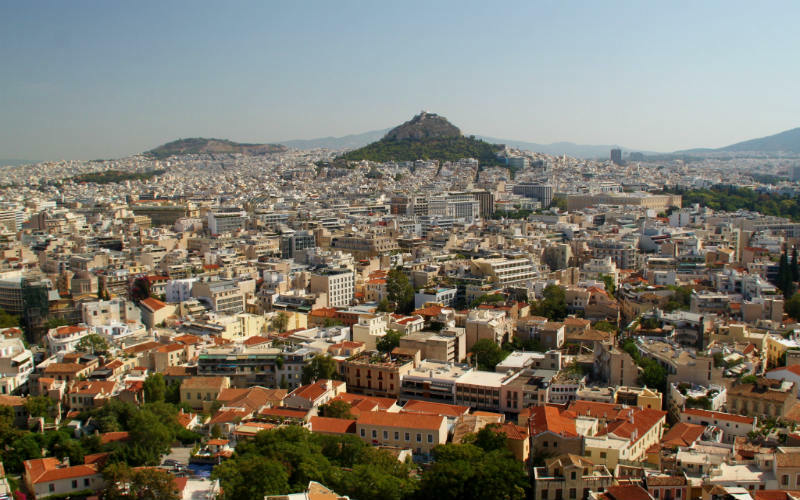 Filled with a lengthy history of nearly 3400 years, Athens is an incredible city to visit. It is an iconic destination: the epicentre of enlightened thought and philosophy and home to some of the oldest ruins in history, such as the Acropolis and Temple of Zeus. It’s also the birthplace of the most famous sporting event in the world. The Olympic Games all started in 1896 in the Panathenaic Stadium in Athens. During my summer travelling through Europe I visited this completely marble-designed stadium that can seat 50,000 spectators. It was impressive to wander through the empty stands and jog (albeit in flip flops) along the black track, pretending to hear the roar of thousands and picture the moments of triumph experienced throughout the decades. There is even a small wooden podium to help visitors envision what it must have felt like to be crowned one of the best in the world. Athens, Greece. Image Credit: C.
It’s a tough choice to pick my favourite Olympic host city as I realise I’ve been to 12 of them! But I have to go with Sydney. I lived there for almost 3 and a half years, and it’s setting along the harbour is not only beautiful, but gives you a sense of both excitement and calm. I grew up at the beach, so having water nearby – -the ability to take ferries to get around, go sailing or go to one of the many stunning beaches with ample surfing and snorkelling opportunities — was such a treat for me. There are so many glorious vantage points and vistas, whether the view of the bridge over Sydney Harbour, the Bondi to Coogee Walk or the view of the city from North Sydney and surrounds. 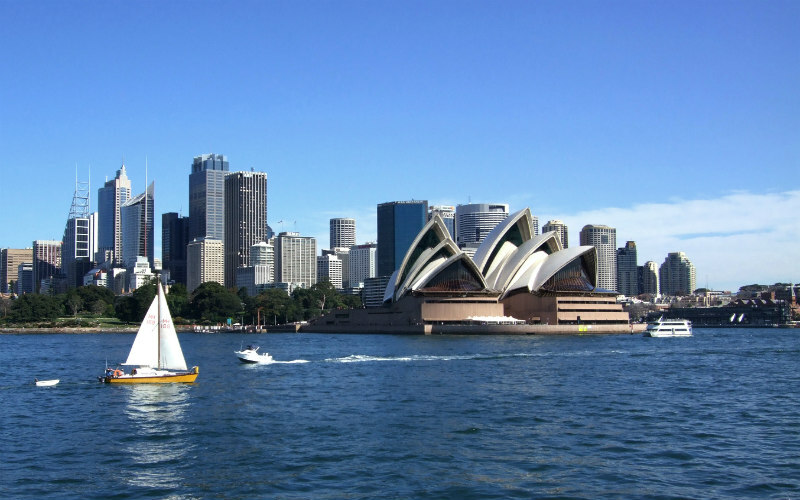 Plus there is plenty of fun, free stuff to do like the Sydney Festival, Vivid and Sculpture by the Sea, great bars, whether a traditional pub or a hidden cocktail bar, restaurants with fresh, well-portioned meals, good museums and all the options for outdoor activity that you could ever desire. I would move back there in a heartbeat if it wasn’t so far from home and expensive! Sydney, Australia. Image Credit: Ryan Wick. 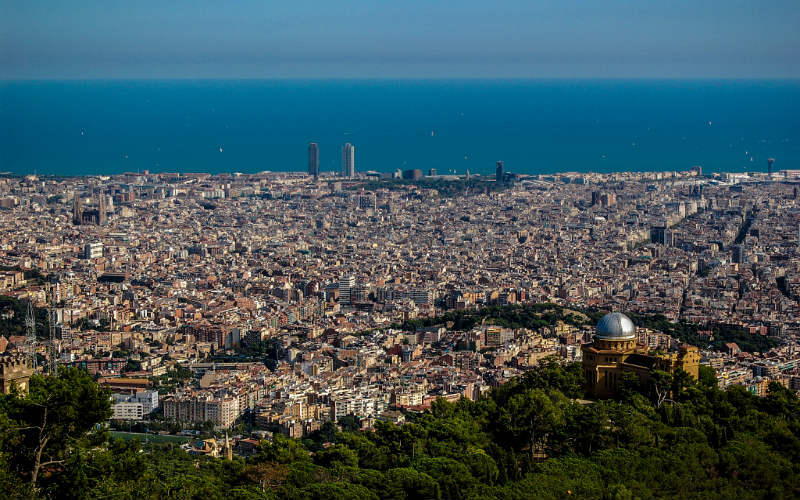 Sunny Barcelona is considered by the Discovery Channel to be home to the best beach city in the world. And Barcelona has the Summer Olympics to thank for it. Prior to 1992, most of Barcelona’s seaside were industrial areas. When it became host city for the 1992 Olympics, Barcelona created five new beaches that were completely for tourism purposes. 1992 was also a crucial year in politics, and the Barcelona Olympics’ motto of “Amigos Para Siempre” (Friends Forever) couldn’t ring more true. The Berlin Wall had recently fallen and for the first time since 1964, Germany sent a single, unified Olympic team. The Soviet Union had also just been dissolved then, and the Baltic nations of Estonia, Latvia and Lithuania had their own teams since 1936. Apartheid had also just been abolished in South Africa, so after a long suspension, South Africa was allowed to participate. These gestures of unification shown in the 1992 Olympics is such timely reminder in today’s world. History indeed repeats itself: the bad and the good. These reflections of the Barcelona Olympics of 1992 are realised by myself as an adult, but what I remember most was watching the televised torch lighting as a kid in complete awe. The Olympic cauldron, which was held high in a column, was lit by a flaming arrow, shot by Antonio Rebollo, a paralympic archer. Even with today’s usage of LED and pyromusical technologies in live shows, I still consider the 1992 Barcelona Olympics flame lighting to be the most memorable. Barcelona, Spain. Image Credit: Rodrigo Paredes. My favourite Olympic city would have to be Beijing. I’ve only visited once but it’s definitely one of the livelier cities in China. 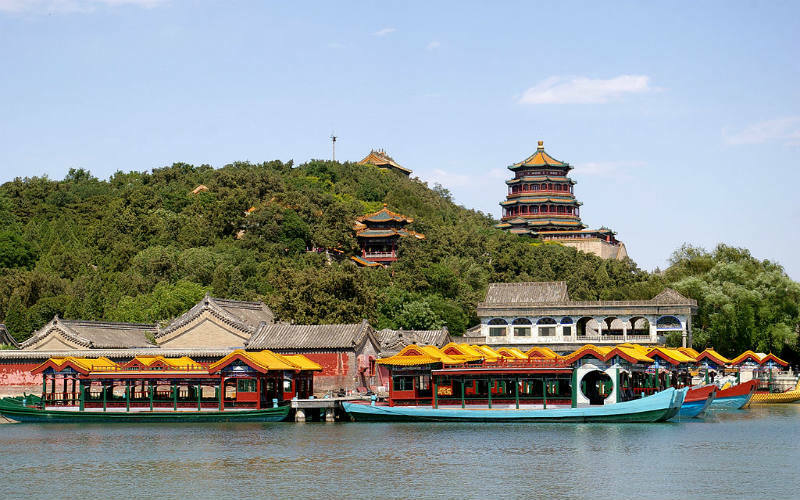 Beijing mixes the classic Chinese vibes and architecture you’d expect from China, with a dash of fast paced living that comes hand in hand with being a big city. A great mix of the old, and the new. Coming from an expat in China, I could be a little bias in saying Beijing was the best Olympic city, but I feel like Beijing has so much to offer to visitors. The best part about visiting Beijing isn’t quite in Beijing, but it will be the highlight of your trip to the city. A day trip to the Great Wall of China is a must, but I recommend visiting the less popular section of Jinshanling to escape the crowds. This is especially important when visiting during a big event (like the Olympics) or a Chinese holiday. Inside the city however, you’ll find many beautiful examples of Chinese architecture, including the Temple of Heaven, Tiananmen Square and the Summer Palace. Beijing, China. Image Credit: Jakub Halun. My sister-in-law sent me a picture last winter of the Northern Lights which she’d clicked on her phone! And the lights were visible clearly! Anybody who has chased the lights knows how difficult it is to capture the lights even with a DSLR. So that is how Calgary then became one of my favourite must-visit cities. It isn’t everywhere you can step out on the patio to watch a surreal heavenly show! Also, Calgary is one of the closest cities to the Banff National Park which contains Lake Moraine. The pictures don’t do justice to how beautifully blue the lake is. Surrounded by the Canadian Rockies on one end, it may not be where Frozen was shot, but it definitely looks like a scene from a Disney movie! Lake Moraine is just one lake from an array of lakes present in Banff. If you head off during winter, a host of winter activities await you. 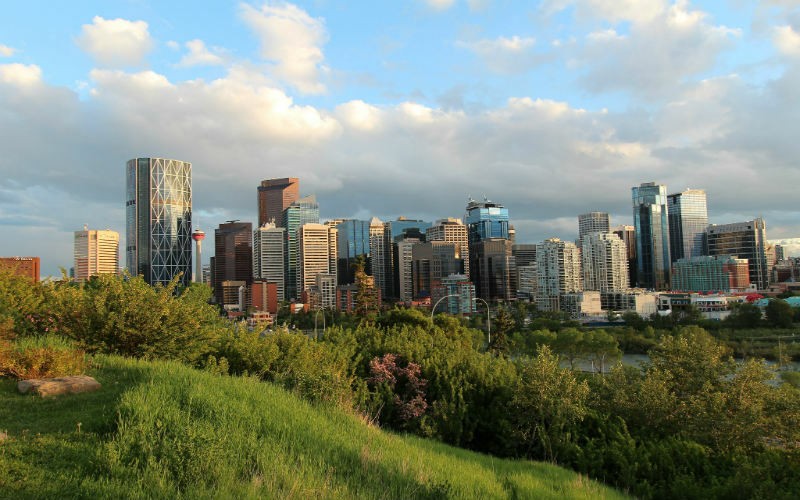 If you don’t have Calgary on your travel list as yet, it’s time to pencil it in! Calgary, Canada. Image Credit: davebloggs007. When the Olympic Games were hosted in Melbourne in 1956, the quiet city’s residents loved their sport. Today, Melbourne is truly on the map as a cosmopolitan city which is the sporting capital of Australia. With its food obsession, diversity, trams, tree lined boulevards and iconic, contemporary travel gems, Melbourne is high on our list of favourite cities. A distinction of 19th century buildings and strikingly modern developments, Melbourne is stylish, arty, cosmopolitan and edgy. Melbourne’s contrasts in style combine old world charm and modern luxury perfectly. From the modern Federation Square, iconic Flinders Street Station, stylish Docklands and cosmopolitan Lygon Street to trendy St Kilda, bohemian Fitzroy, edgy Richmond and arty Prahran. Then there are the world class sporting precincts. The MCG, Etihad Stadium, AAMI Park, Rod Laver Arena and, of course, Flemington Racecourse, all exemplary examples of a sporting community. 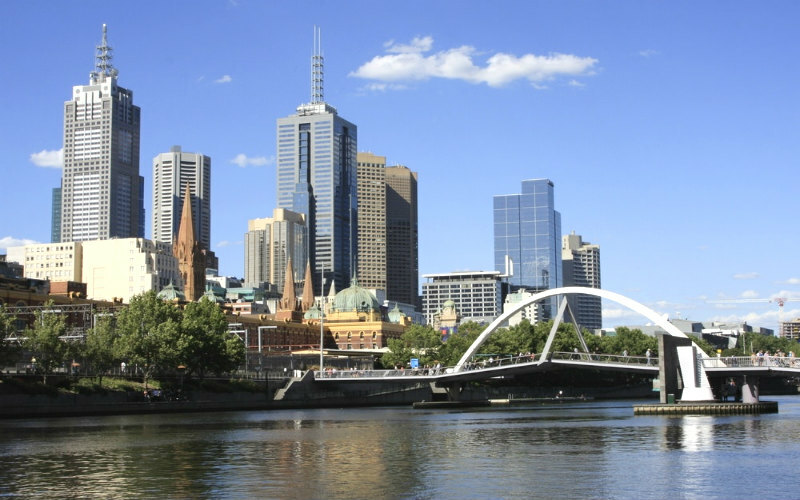 Don’t wait for 2028 when Melbourne hopes to host their next Olympic Games to head there. For a world class sporting event you can witness the Australian Formula 1 Grand Prix, Melbourne Cup, Australian Open Grand Slam or AFL Grand Final and walk the steps of the Olympians. Rome, Italy is for sure one of my favourite Olympic host cities, but not because of the usual reasons. 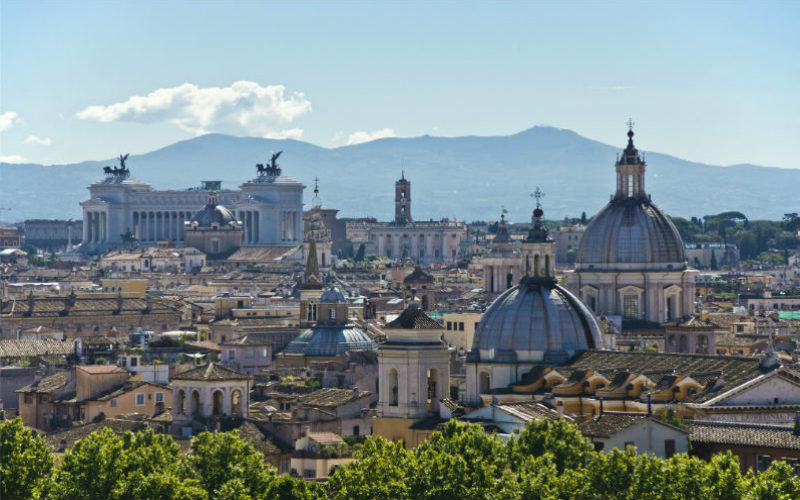 Of course Rome is the home to some incredible sights and sounds, including the Colosseum, the Trevi Fountain, the Spanish Steps, the Pantheon and more – and while these are incredible to visit, there’s another reason that makes me love Rome so much…(and of course it involves food). On my most recent trip to Rome, I left the crowded city centre and ventured into some of the old nearby neighbourhoods, and was blown away! It was the most enjoyable part of my trip! I’d highly recommend exploring areas like Trastevere and Testaccio – these gorgeous neighbourhoods are full of small cobbled streets, lined with local stores, often passed down through generations of families. Restaurants and bars contrast the many ‘tourist traps’ in the centre, and instead sell authentic dishes using traditional family recipes dating back to what seems like forever! Wandering through these streets is an absolute must, taking time of course to enter various bars, cafés and restaurants to buy what the locals are eating and drinking – when in doubt, ask the shop workers what they recommend, and just go with it! Rome, Italy. Image Credit: Bert Kaufmann. Interested in paying a visit to one of the many former Olympic host cities? Find and compare cheap flights and hotel rooms with Webjet today! Feature Image Credit: Maciek Lulko.